During the annual CRM event, SCRREEN carried out exclusive interviews with some of the CRMs experts. Discover their take on key issues concerning CRMs. We have also included their profiles at the end of this feature. Q1: CRMs are so important because they are essential for the manufacturing of a wide range of products that we use every day (smartphones, laptops, airplanes, cars, photovoltaic panels, etc) . Thus, our quality and modern way of life is reliant on access and use of these critical raw materials. How we can improve the public perception of the CRMs? Antonis Politis: It’s not about the CRM, but it’s about mining operations and the other minerals. Currently, the perception around mining is bad, so the public is against mining. There are several ways to raise awareness: we can enlighten people about the source of these products around them – they do not fall from the sky but they are derived from minerals. Another way is surely to work with the younger generations by carrying out pro-mining activities to improve the perception around mining (starting from elementary schools)! Anastasios Kladis: To improve the public perception we have to start from schools at all levels of education so the young consumers, who will become the future consumers, better understand what the role of CRMs is. To do this, we have to pay specific attention to the curriculum so that it includes CRMs. In addition, we can leverage the point of sales of mobile phones: and have a brochure in the box that lists CRMs contained in a smartphone so that consumers immediately learn what materials their devices are made of. We have to discuss with big companies, like Apple or Samsung to include this kind of small brochure into the box and this would be absolute successful because everybody may pay attention on it. (ii) a more advanced kit could be used to address students of ca 17-18 years old to ‘influence’/guide them before they decide which direction to take in higher education. Q2: Security of the CRMs supply: at present the EU does not have an intention to establish specific CRM-focused policy dialogues with relevant mineral exporting countries. The CRM aspects are integrated in the overall raw materials international activities. Do you agree with this vision or you would suggest to initiate dedicate trade agreements? Antonis Politis: I would tend to agree with this kind of approach, thus it’s ok to have a general approach as CRMs are a dynamic matter (reliant on mega trends that change every 2-3 years) and this calls for a dynamic overall approach. However, the discussion has to be more focused on the overall minerals and on different areas in which CRMs should be one part. So, if we want to push further political discussion, it should be on CRMs. Anastasios Kladis: No, I disagree. For example, Chinese government is going first in the areas that produce minerals of interest for Chinese industry; Chinese government prepares the ground and then Chinese companies are going to these areas to close a deal. So I think that the EC has to put boots on the ground, sending people specialized in negotiation to make deals with the government, based on reciprocal interests, infrastructure works, technology transfer and so on, so that the mining companies and the industries that use the produce of the mining companies have a more and easier access and a stronger negotiation position, because they would become stakeholders, they would not be just buyers of CRMs; they would be stakeholders in something larger: So, it is the opposite. Guy Buyle: I would have preference for dedicated trade agreements. Q3: CRMs and Circular Economy: although several CRMs have a high technical and real economic recycling potential, and despite the encouragement from governments to move towards a circular economy, the recycling input rate of CRMs is generally low. In your opinion what are the strategic actions to improve the circular use of CRMs? Antonis Politis: Circular Economy for me is not all about recycling. Recycling is the minor part of the Circular Economy. Circular Economy is totally something different. You have to begin from the production and go in different business models. 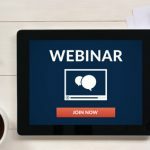 Even if you go into 100% of recycling, it requires a lot of technique, technological development in order to recover CRMs. Thus the models and consumers’ patterns have to be changed. Anastasios Kladis: In order to improve the circularity the most important tool is cost burden to the consumers and producers, taxation which would create incentives for using less new raw materials and more recycled ones combined with financial “penalties” for not contributing to Circular Economy. Only if you connect economic measures with the pocket of consumers then they would pay attention to such initiatives. Then, slowly, it will become a culture to respect Circular Economy philosophy. Guy Buyle: Increased circular use should be embedded in the wider scope of circular use of ‘all’ products and materials. 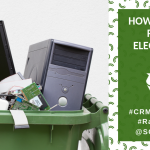 Potentially, incentive schemes from governmental side could be designed to promote specific CRM recycling. Q4: In the EU, like in others parts of the world, the optimal or efficient use of CRMs is conditioned by economical, cultural and technical limitations, different per material and along the phases of the life cycle. In general, the most efficient use of CRMs takes place within industry facilities, i.e. during fabrication of intermediate products as this is the phase were the least material losses occur. In contrast, large losses in the material cycle take place during the end-of-life phase. Is the product eco-design the keystone? Antonis Politis: I would tend to disagree a bit with the statement about using CRMs in some countries in an efficient way. I think that we believe in some countries that use in an efficient way but under false model, false running model. So, we have to create new business models and new consumption patterns around mining. So eco-design has to be seen as part of the whole circular pattern. Anastasios Kladis: The product eco-design is the keystone. We have many pillars there: the efficiency, the recycling, the sustainability, the responsible sourcing, so the eco-design must be a gain, a rewarded task. Surely eco-design is the keystone. Guy Buyle: Yes, at product design stage it should already be taken into account as much as possible how to recover the CRM at EoL. Q5: The Commission proposal for changes to the Waste Framework Directive includes provisions on CRMs, as part of the Circular Economy Package. Among others, Member States should take measures to prevent products constituting the main sources of CRMs from becoming waste and include in their waste management plans nationally appropriate measures regarding collection and recovery of waste containing significant amounts of CRMs. Considering the state of the art, is this feasible in a 10-year horizon? Antonis Politis: Like always, legislation is a driver, so I totally agree. If legislation is there, companies will find a way to put forward. Legislation is a drive to go ahead with this trend and make it feasible for companies. Anastasios Kladis: I think this is feasible provided that we will intensify the research and we will come up with smarter and holistic ideas for example to have a clear database on what are the ingredients (materials) of each products so providing the European consumers with bar codes. You can immediately recognise and facilitate the recycling: indeed, the bar code will serve to know the traceability, to know what is coming from where. This is a way to think smarter. Guy Buyle: Yes, most likely. Antonis Politis is a Business Development Manager in the Innovation Hub East of EIT RawMaterials. EIT RawMaterials is the largest network of Partners from the raw materials sector represented by over 120 companies, universities and research institutes from over 20 EU countries. EIT RawMaterials and its Partners work on innovation, education and business creation in the raw materials sector and EIT RawMaterials has dedicated focus on CRMs. Antonis in EIT RawMaterials acts as a Project Officer of various Innovation projects, offers coaching in start-ups from RM sector and facilitates Business Creation with partners and start-ups. Antonis has a wide expertise in multiple fields of the raw materials sector value chain covering environmental impact assessment of products and processes, business planning and modelling, LCA-LCC-SLCA, underground mining and tunnelling excavation, mechanical mining excavation techniques, policy making and SLO. Antonis has studied Mining and Metallurgical Engineering at National Technical University of Athens and received a Master degree in Business Administration (MBA) in 2015. 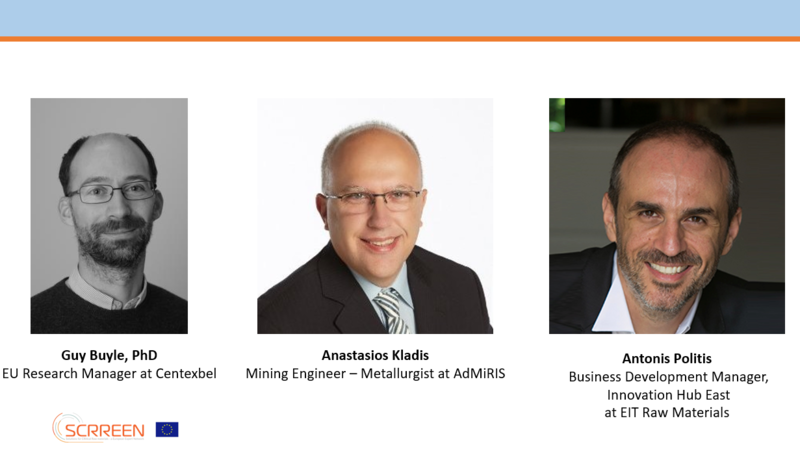 Anastasios (Tassos) Kladis is a Mining Engineer – Metallurgist MSc. From NTUA, Greece and University of Nottingham, UK. He has followed professional education in INSEAD and IMD. More than 20 years’ experience in managerial positions in Industrial Minerals industry, mainly developing business in Greece, China, India, Turkey, Germany, USA etc., with several minerals (e.g. wollastonite, perlite, bentonite, bauxite) in a multitude of applications (e.g. plastics, paints, coatings, refractories, ceramics, glass, metallurgy, agro and animal feed). Founding Partner of Advanced Minerals and Recycling Industrial Solutions P.C (AdMiRIS), works on technology transfer and strategic business development in the fields of minerals. AdMiRIS is participating in three H2020 Projects (ENSUREAL, REMOVAL and CROCODILE) performing Business Planning, Technoeconomic analysis, LCA and Sourcing analysis. Guy Buyle holds an MSc in Engineering. He obtained his PhD in Physics on the subject of simulating PVD coating processes. He started at Centexbel in 2006 in the textile coating and finishing group. He has mainly been working on European projects (FP6, FP7 and H2020), being strongly involved in their coordination and management. An example is the AT~SEA project which received the Techtextil Innovation Award in 2015. He is Manager EU Research of Centexbel.